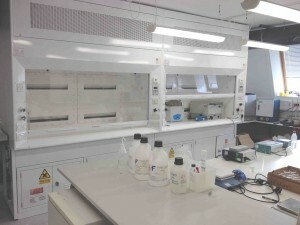 The team's research centre (CEPSAR) at the Open University houses a dedicated suite of laboratories for the storage, preparation and analysis of sedimentary and palaeontological samples. These laboratories include a sediment core splitter, walk-in fridge for core storage, freezer, two extractor hoods for HF acid digestion of samples, a centrifuge, ovens, precision balances, water baths, hot plates, and a pure water supply. 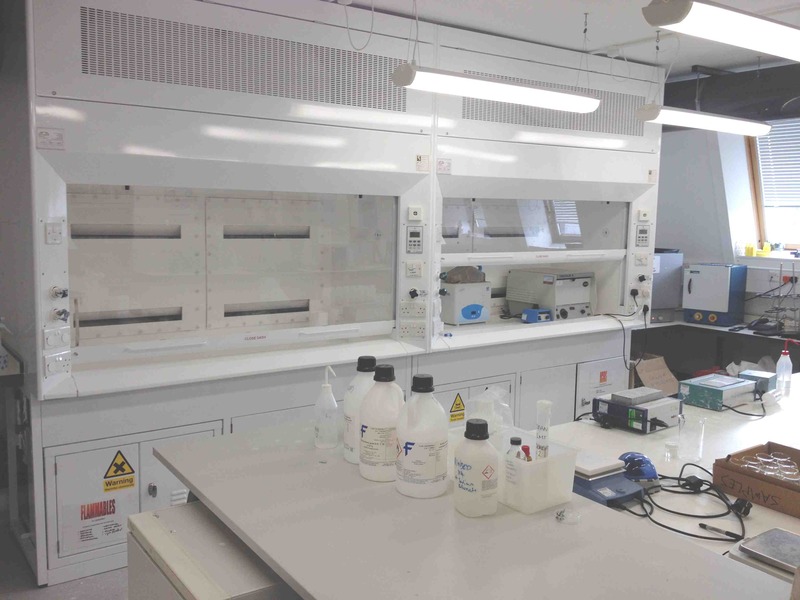 The laboratories are located within our Department of Environment, Earth and Ecosystems close to the offices. HF capable fume hoods in the wet lab of the sedimentology and palaentology laboratories. 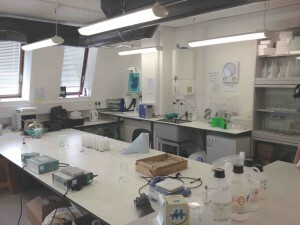 Wet lab of the sedimentology and palaeontology laboratories.